Vienna – The South East Europe Tourism Expert Group (TEG) endorsed a joint plan establishing the regional cultural and adventure tourism routes for the Western Balkans six, at the meeting held in Vienna today. “The agreement on how we are going to shape regional tourism offer is an important step forward in creating joint tourism products that will valorise and integrate the Western Balkans’ rich cultural and natural heritage,” said Snježana Derviškadić, Team Leader of the Regional Cooperation Council’s (RCC) Tourism Development and Promotion Project. 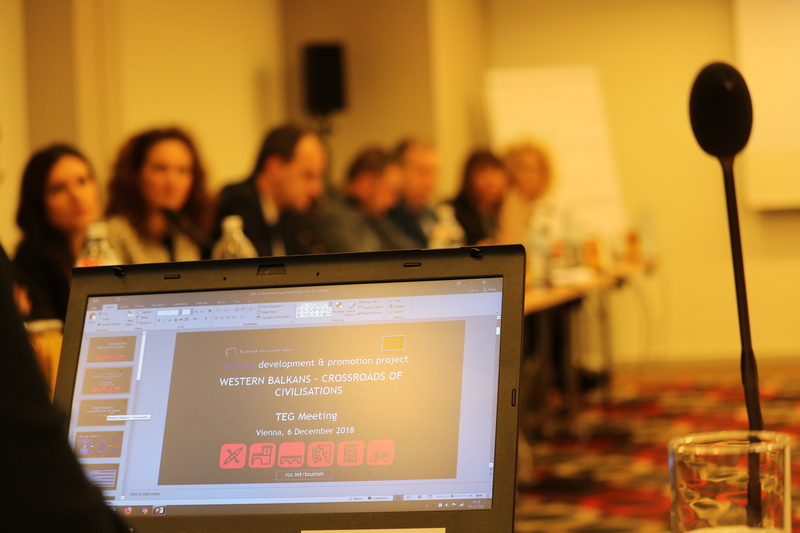 The TEG reviewed and endorsed the development concepts for the regional umbrella identity “Western Balkans – Crossroads of Civilisations” and a separate tourism route focusing on the art and design of the 38 extraordinary World War II monuments. The two concepts provide historical and cultural justifications and set the criteria for inclusion of the sites and the monuments into different cultural tourism itineraries spreading through six Western Balkans economies under the “Western Balkans – Crossroads of Civilisations” joint identity. The concepts tentatively include some of the most prominent monuments from Roman, Byzantine, Ottoman and Austro-Hungarian empires. “The concepts endorsed today are the product of expert research and broad consultations with culture and tourism professionals and practitioners, and will guide further work on the development of particular tourism offer and products that will be promoted at the regional and international markets, under a joint marketing platform,” added Derviškadić. The 8th semi-annual meeting took place under the auspices of the Tourism Development and Promotion Project, which is implemented by the RCC implemented and funded by the European Union (EU). Tourism Development and Promotion Project, worth EUR 5 million, works to develop and promote joint cultural and adventure tourism offer, improve the quality of services and infrastructure, and to increase the number of tourists, revenues and employment in the tourism industry in the region. TEG gathers relevant governmental, private and non-governmental sectors representatives. As a body established under the RCC’s South East European Investment Committee it steers the implementation of the Tourism Development and Promotion Project.